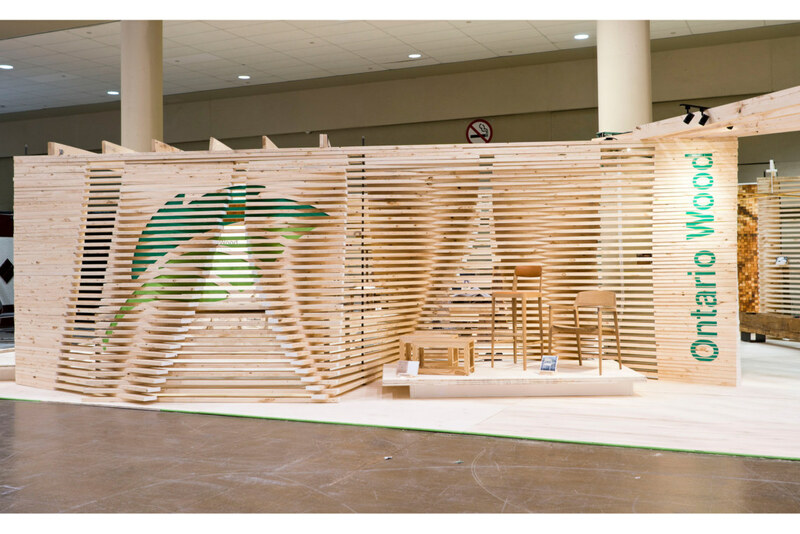 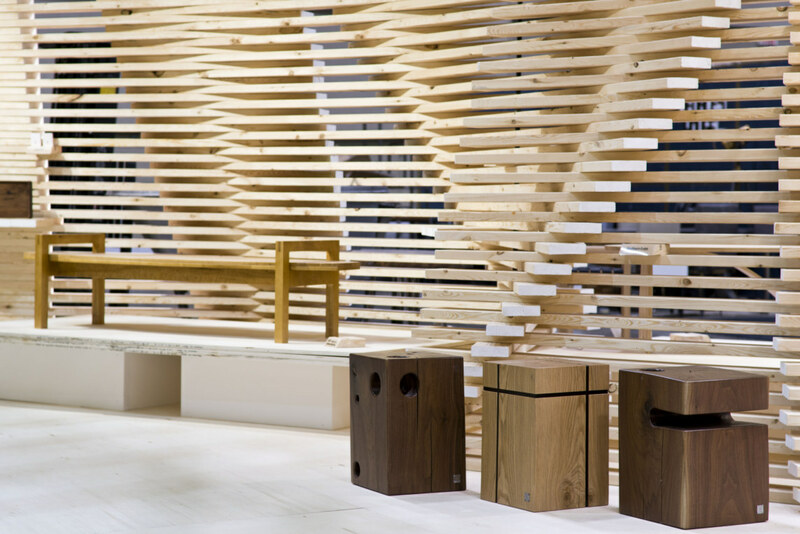 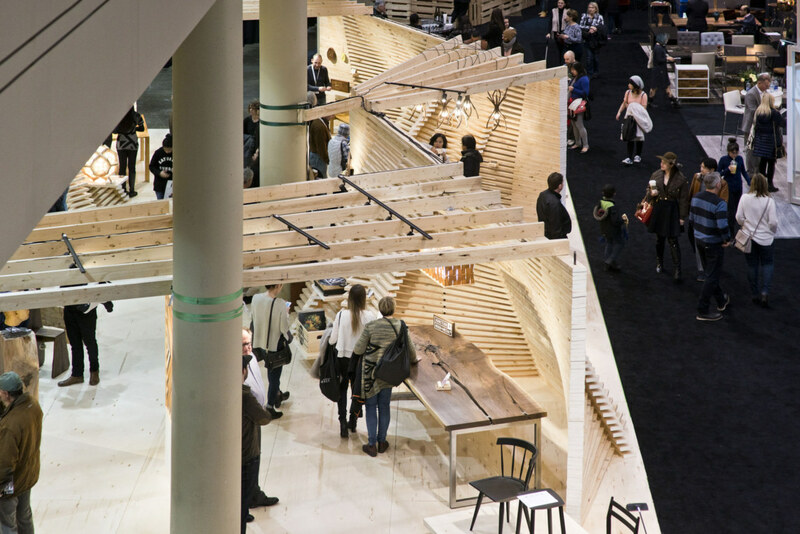 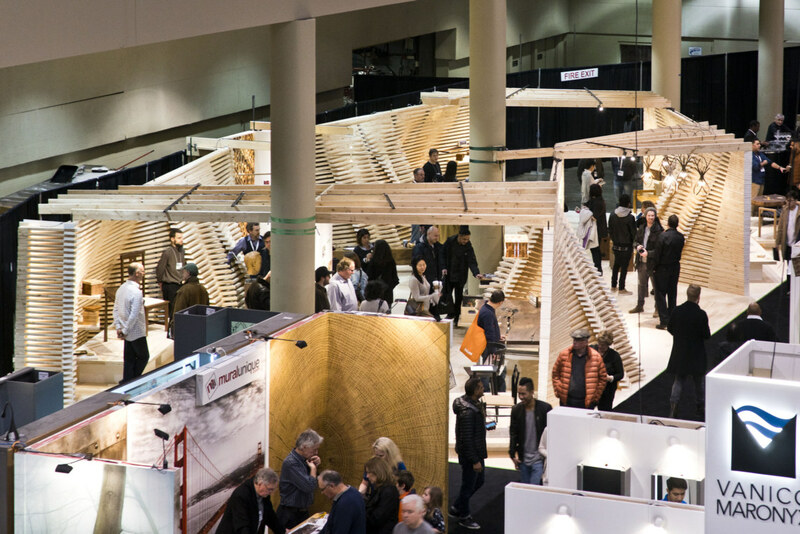 The Ontario Wood exhibition space at IDS17 showcased and promoted makers and manufacturers who work with locally-sourced wood. 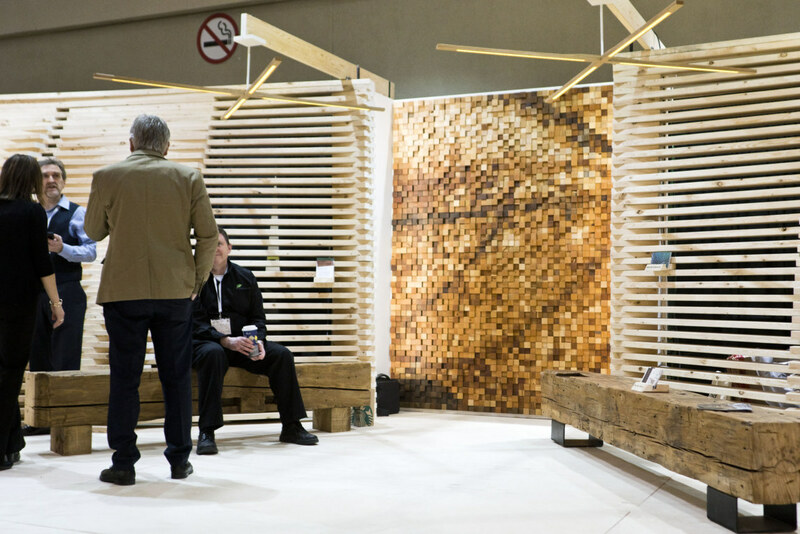 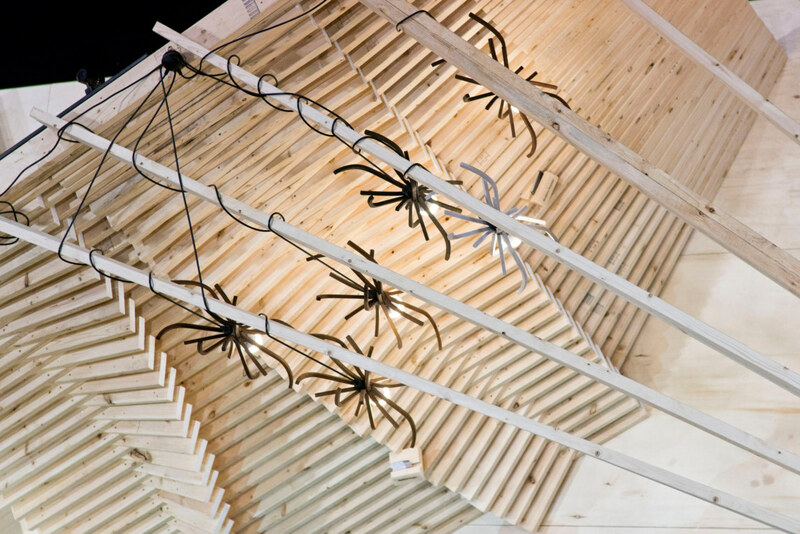 Framing lumber from EACOM’s Nairn Centre sawmill and sustainable aspen plywood by Rockshield EWP were used to create a sculptural backdrop for furniture and lighting created by Ontario craftspeople. 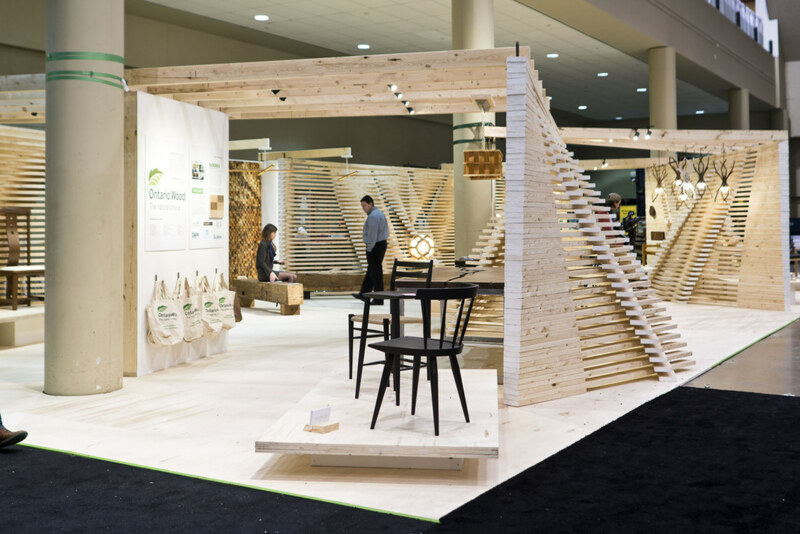 The construction material used in the space was dismantled ready for re-use by Habitat for Humanity after the show. 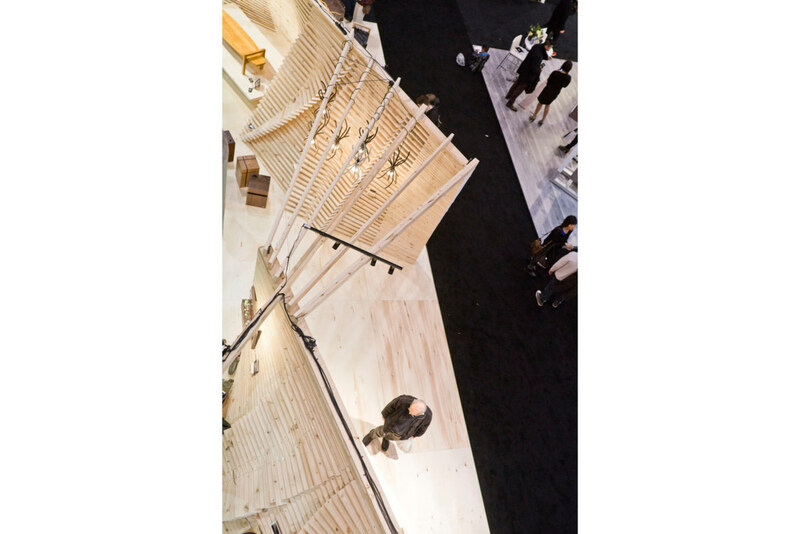 Space designed and created by blackLAB architects inc. in partnership with Lewitt Construction, Moses Structural Engineers, and Dark Tools. 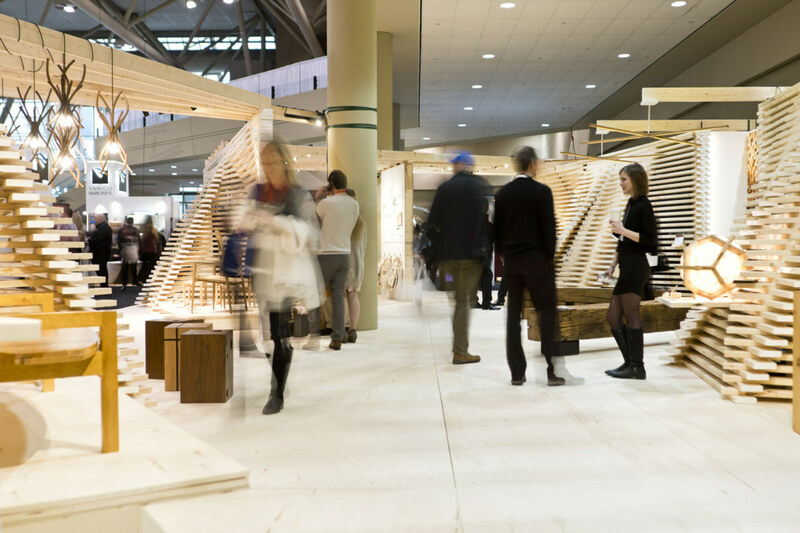 The exhibition featured the work of 24 local designers and makers. 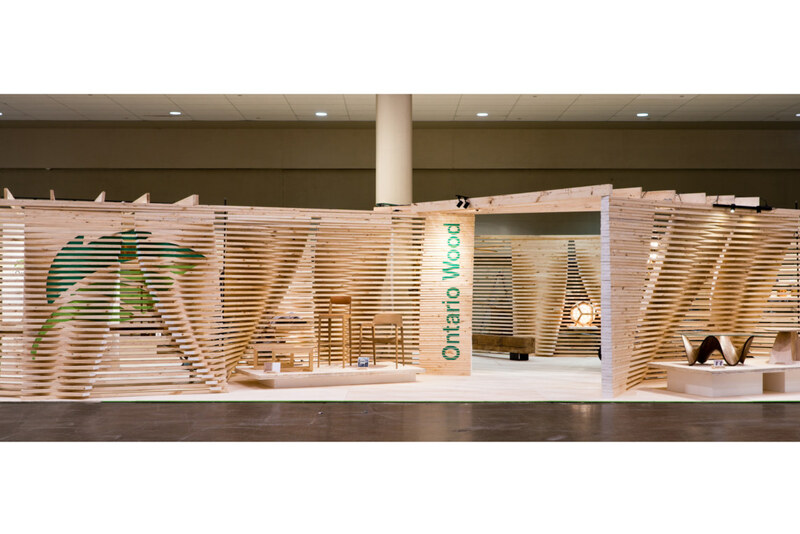 The Ontario Wood program helps consumers identify and support Ontario producers and makes buying local the natural choice.